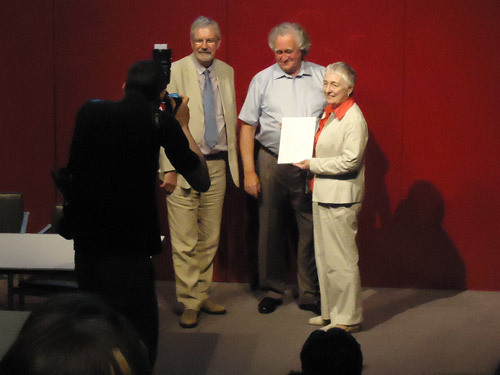 Yesterday, in an award ceremony held at the British Museum, our volunteer Stamps in Schools co-ordinator Erene Grieve became joint national winner of the Marsh Christian Trust “Volunteers for Museum Learning” award, 2013. Erene has been running the Stamps in Schools project for the past seven years. 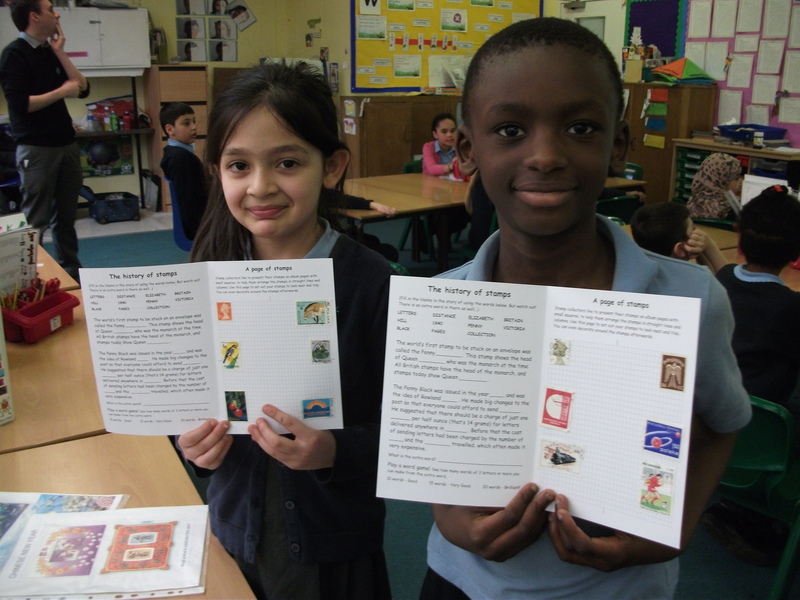 Stamps in Schools workshops introduce pupils to the history of stamps, and the idea of starting their own stamp collection. Erene provides ‘stamp days’ in Primary schools which have been run throughout the UK, from Inverness to the Isle of Wight. Erene running a workshop at Sherwood School. Erene won the award for the London region in May. At yesterday’s ceremony Erene met the other regional winners before the national winner was announced. The judges found it impossible to decide an overall winner so Erene shares her national prize with Nathan Lightowler of the Railway Preservation Society of Ireland. Museums large and small are reliant on the contribution volunteers make to ensure the smooth and successful running of their organisation. 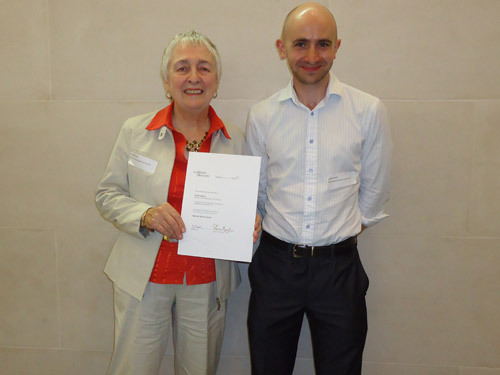 The Marsh Awards recognise the vital work that volunteers do in museums across the country. There’s something magic about hearing a child say “Thank you that was brill”, or even “That was cool”, or even “This has been the best day of my life!” You don’t walk out of the school thinking, “I wish I’d got paid for that”. You go out thinking, “This is wonderful”. We’d like to congratulate Erene and say thank you for her ongoing commitment to volunteering with the BPMA. Erene with BPMA Director Adrian Steel. Visit our website to find out more about Stamps in Schools. Hello, I’m Tommy, a postgraduate student at London South Bank University where I’m training to be a primary school teacher. As part of this course, I recently spent a week on placement at the British Postal Museum and Archive. 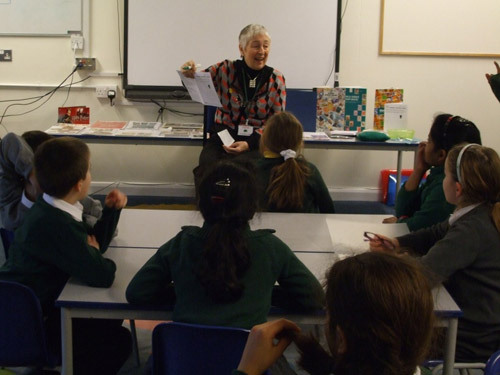 I worked closely with Sally, the Schools Learning Officer to learn how the BPMA use their archive and resources to deliver engaging and stimulating school sessions. 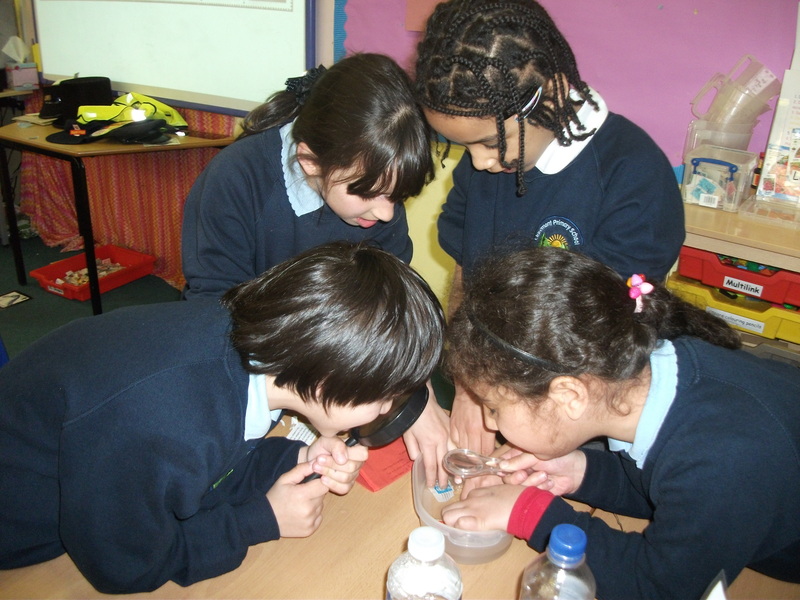 One of the sessions I observed was “Stamp Champs” in a year 3 class at Claremont Primary School in Cricklewood, North London. This was a fun session, where pupils were given the chance to dress up as postal workers from the past as they learnt about the history of the postal service. The pupils also had the chance to investigate stamps from around the world by playing an interactive game using stamps from sixteen different countries. 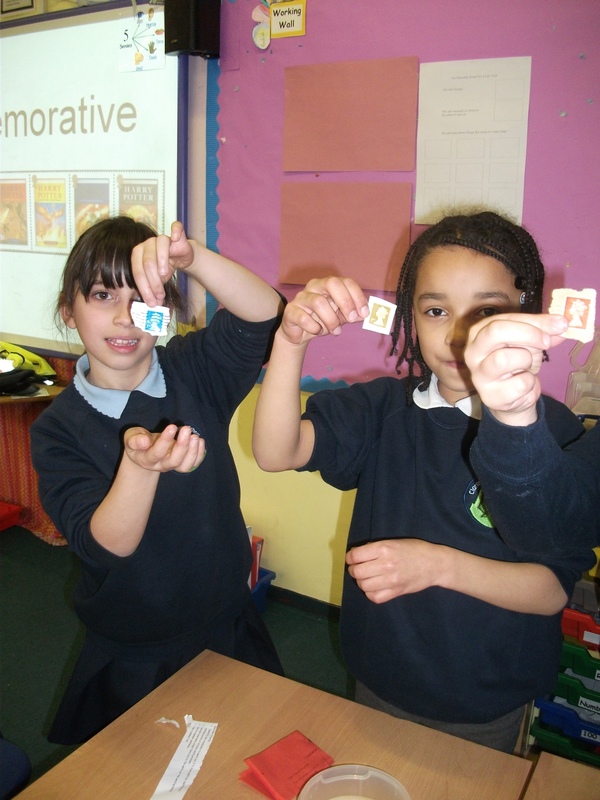 Perhaps the most exciting part of the session was when the pupils were given the opportunity to begin their own stamp collection. Firstly, they learnt how to remove a used stamp that was attached to an envelope and they kept this as the first stamp in their collection. Students soak definitive stamps to detach them from envelopes. The pupils then chose another five stamps each from around the world that Sally had brought along for them. The classroom was buzzing as each pupil rifled through the numerous stamps to find which ones they wanted for their collection. Each pupil had their own reason for the stamps they chose – be it that it was from the country of their birth, a commemorative stamp from an event they recognised or even just a striking design – there was no doubt that they had all been gripped by “stamp fever” and were proud of the birth of their stamp collection. Pupils showcase their final selection of stamps. As we left, the pupils thanked us and told us how much they enjoyed the session, with one boy saying that we were welcome to come back anytime! “Stamp Champs” really was a fantastic session to observe and take part in, and I would have no hesitation in booking it for a class when I graduate later this year and begin teaching. The school visits were a highlight of my time at BPMA, however, the opportunity to search the archives has also been fascinating. I was given an interesting, detailed tour of the archive and used my new found knowledge to develop ideas for a session about the role of the postal service during World War Two. My time at BPMA has been thoroughly enjoyable and I have learnt a lot about what the museum collection can offer for schools. Thank you to everyone at BPMA for having me! We’re taking bookings for the summer term now. Find out how to book a free school workshop for your class. Campaign! An exhibition curated by Langley Academy students.